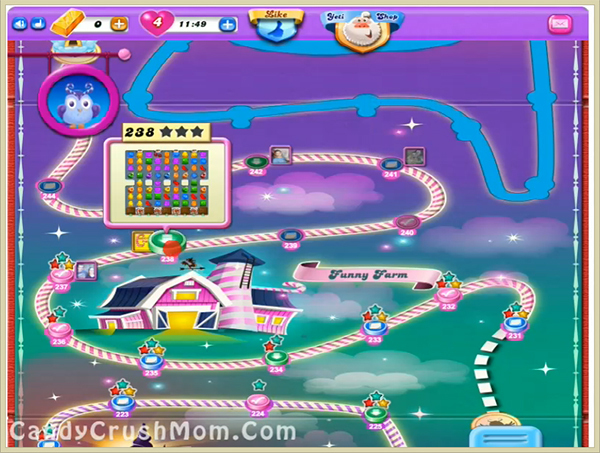 This level have normal difficulty but you need to play with good strategy to complete this level. First try to play more from bottom to break blockers and use question mark candies special candy if they are not unbalancing the Odus owl. After moon struck try to use special candies or combos near to ingredient to take down as soon as possible. We completed this level with 92280 score using same strategy plus got few special candies that help to reach requirement before single move with three star score.